"Raising Capability" was a two year project funded by the State NRM Program. This innovative project focused on providing support and advice to landowners in the catchment on natural resource management and building the capacity and skills of the group to meet the needs of their landowners. Funded by the South West Catchments Council through the National Landcare Program, Biodiversity Linkages was a key flora & fauna project for the Lower Blackwood region. Reducing grazing pressure by fencing off access of stock to creek lines and creating designated stock crossings and watering troughs. Revegetation of creek lines to stabilise the river system. Containing and managing riparian weeds. 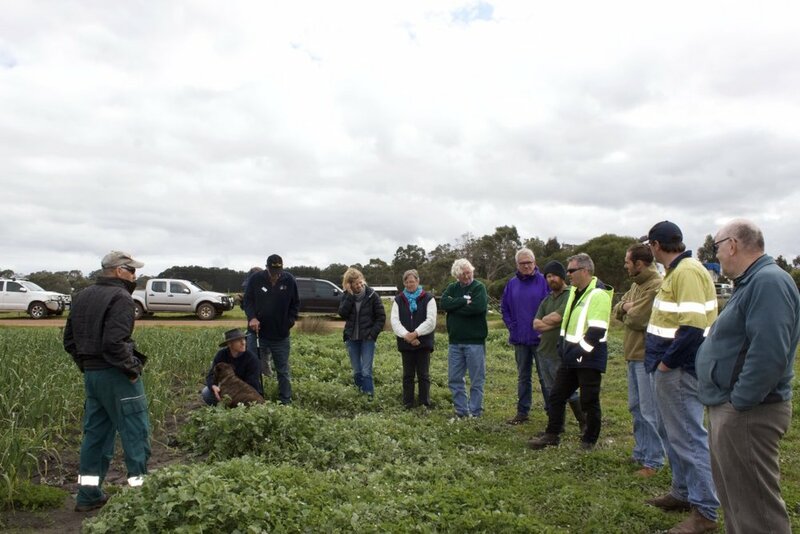 A Best Practice Bank Stabilisation Workshop to provide landholders with practical and achievable solutions to manage bank erosion on their properties and improve the ecological conditions. Our focus was on soil testing and results interpretation to build understanding of soil health. This was facilitated by the delivery of a workshop in which soil chemist Bob Jeffrey presented the soil test interpretations to interested landowners to build their understanding and knowledge in understanding soil health during the transition from long term plantation blocks back to pasture crops.